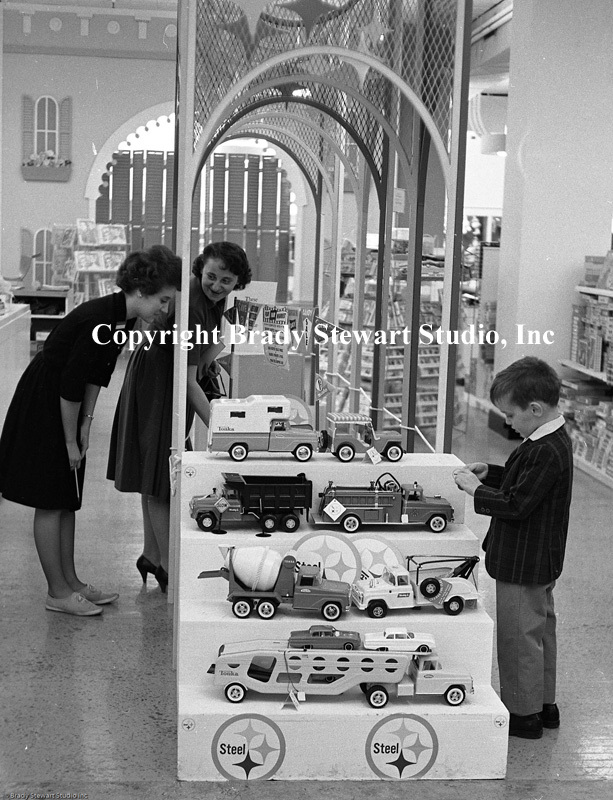 During the late 1950’s and early 1960’s, the Steel and Aluminum industries were aggressively competing for market share in traditionally strong steel markets; food and beverage cans, automobile parts, household appliances and toys/bicycles. The two dominant manufacturers, US Steel and ALCOA were both headquartered in Pittsburgh. During 1962, ALCOA made a big move into the beer can market with the unique “soft top” can. Soon after, ALCOA can out with an even better solution with the “Pop top” can that was a big success in both the food and beverage industries. 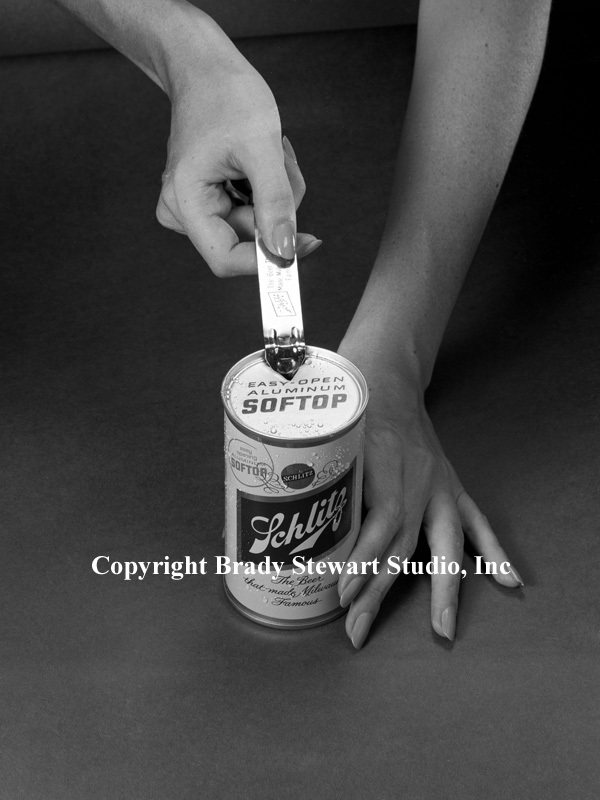 Brady Stewart Studio was required to sign a confidentiality agreement before the product was set up and photographed in the studio located at 725 Liberty Avenue in Pittsburgh (Gamble Building). This was a top-secret product announcement that took the steel industry by surprise. To respond, US Steel’s New York Advertising agency came up with the idea to create more awareness for “everyday” steel products used by consumers. 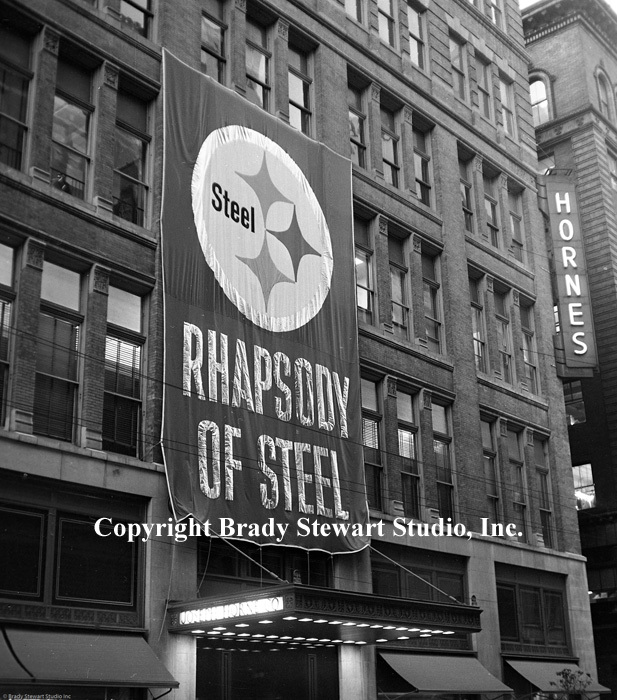 They decided to test the idea with the Rhapsody of Steel exhibit at Horne’s Department Store in downtown Pittsburgh during the Christmas holiday season of 1962. Even through the campaign was a success, the Aluminum industry continued to take market share away from Steel due to the increasing cost and overall weight of steel products versus Aluminum. 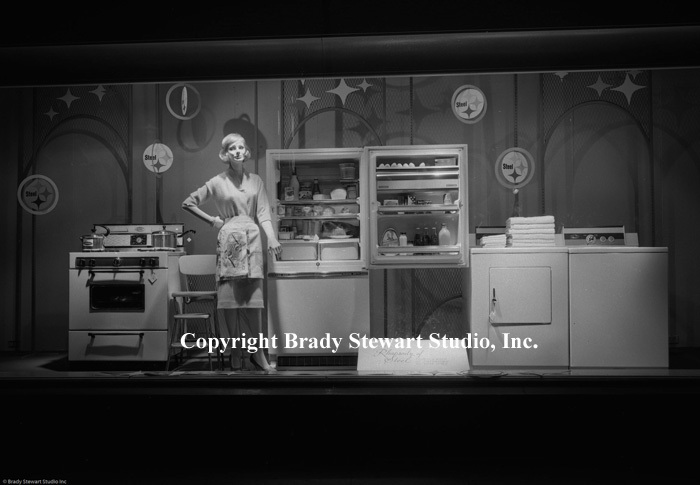 A reminder that the new images can be found at http://bradystewartphoto.photoshelter.com/gallery-list. Gallery: Living In Western Pennsylvania 1960-1970. And that the images online are for sale and all proceeds are used to digitize and identify more prints and negatives.